Imagine your legacy in something hundreds of thousands of people would use every day, a path that would power the Northeast and the nation. With your support, the Gateway Tunnel could be the key to a thriving regional and national economy. Without it, more than our infrastructure could crumble. And that is why, Mr. President, you must reverse your opposition to Gateway, the $30 billion effort to make massive improvements to the rail infrastructure of New York and New Jersey. At the center of the project: building a new train path under the Hudson River to allow for uninterrupted travel, and repairing the existing aging tunnel severely damaged by superstorm Sandy. 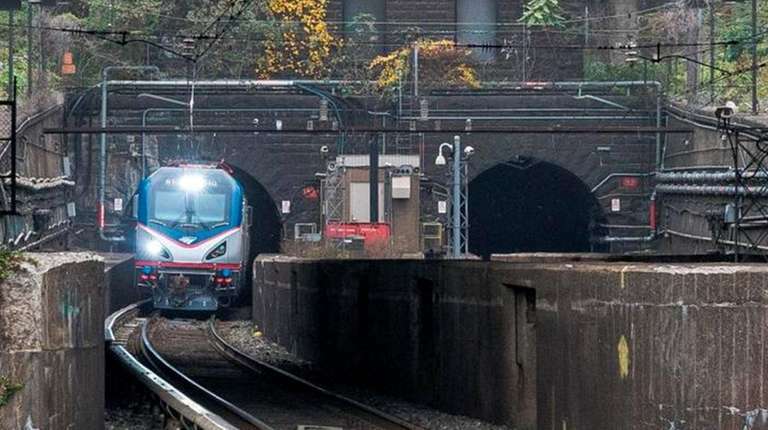 Beyond that, the money would build a rail bridge to ease travel to Penn Station and beyond, and add track capacity in the all-important Northeast Corridor. This project shouldn’t be a bargaining chip. It’s more important than your fight with Sen. Chuck Schumer. It’s neither red nor blue. And yes, as you have pointed out, bridges and airports are more visible, but this tunnel’s impact would be felt by all. In your hometown of New York City, employers depend on New Jersey for nearly 13 percent of their workforce. But the impact goes far beyond New York City workers and New Jersey residents. The rail tunnels under the Hudson enable nearly 300,000 passenger trips on 450 trains each day. What’s more, Amtrak’s Northeast Corridor is the nation’s busiest passenger rail route, responsible for more than 20 percent of U.S. gross domestic product. If one tunnel under the Hudson fails, the Northeast economy from Boston to Washington will stop in its tracks. The national ripple effects will be catastrophic. Contrary to what Transportation Secretary Elaine Chao has said, the two states on either side of the tunnel, and the Port Authority of New York and New Jersey, all have “skin in the game,” having promised half the cost of the new tunnel itself, whose price tag is nearly $13 billion. The Port Authority already has approved initial spending. New Jersey Transit plans to add a ticket fee to cover the state’s share. And New York has pledged to pay its part, too. Now, the region needs the federal government, which owns and controls the tunnels, to cover the other half. North Carolina Rep. Ted Budd, one of Gateway’s biggest foes in Congress, has attempted to link the tunnel to the Metropolitan Transportation Authority’s troubled history of building big projects. But contrary to his assertions, this is an Amtrak project — with no involvement from the MTA. So the mud doesn’t stick there. Are cost overruns a concern? Sure, not just in blue states. Structure Amtrak’s spending to encourage efficiency. Getting Gateway going has been a struggle. You have the opportunity to turn a project with a history of losing into a win. The power to drive one of the nation’s most important economic engines is yours.